While exuding confidence in winning the elections, the BJP chief said, "BJP will win the Assembly elections in Chhattisgarh with a larger margin. We will win 65 seats in the 90-member Assembly. The Congress will be decimated." 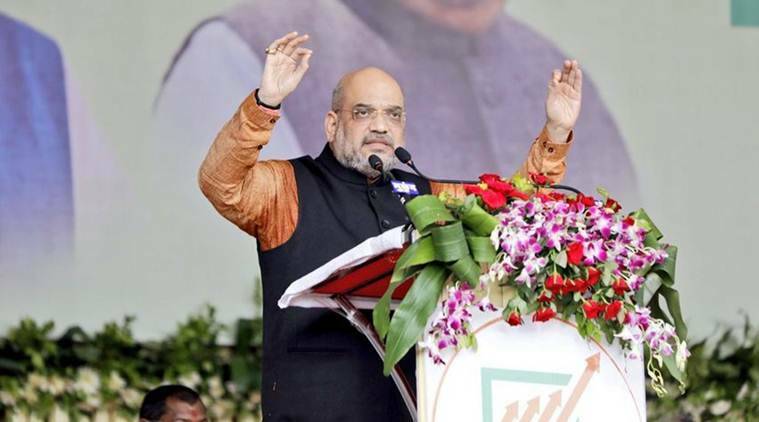 BJP president Amit Shah on Sunday asserted that the Scheduled Caste/Scheduled Tribes (Prevention of Atrocities) Act and the reservation system in jobs will continue till the BJP-led government is in power at the Centre. While addressing a rally in Chhattisgarh where Assembly elections are slated for later in the year, the senior party leader urged people to remain wary of Congress’ efforts to spread “lies” about the Narendra Modi government ahead of the Lok Sabha elections next year. “In the coming days, the Congress will spread different types of lies to mislead people. Sometimes they will say the SC/ST Act is being abolished, on other occasions, they will say the reservation (system) was being scrapped. I want to clearly say that the SC/ST Act and reservation will remain in force till the BJP government is in power,” Shah, who was addressing the gathering in PG College grounds, said. Upping its ante against Congress president Rahul Gandhi over his party’s performance in 55 years, Shah questioned him for seeking an account of the work done by the BJP-led government in the last four years. “Rahul baba, why are you asking for our account of four years. We do not need to give you any account. We will give an account of every minute and every paisa to the people when we go to them to ask for votes,” Shah said. Shah also said that Gandhi must look within before seeking an account of the work done by the BJP. “With the onset of summer, they rush to Europe and Italy for vacations. When Rahul baba comes here to ask for votes, will you not ask him about the dismal record of his party?” he said at the rally. 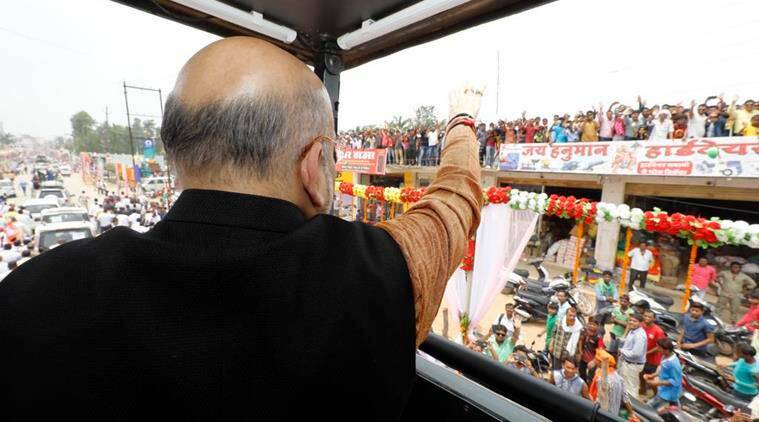 Prior to addressing the crowd, Shah held a road show at Ambikapur town. He was accorded a rousing reception by a large number of party leaders and workers when he commenced the roadshow in the afternoon from Kharsiya Naka area. 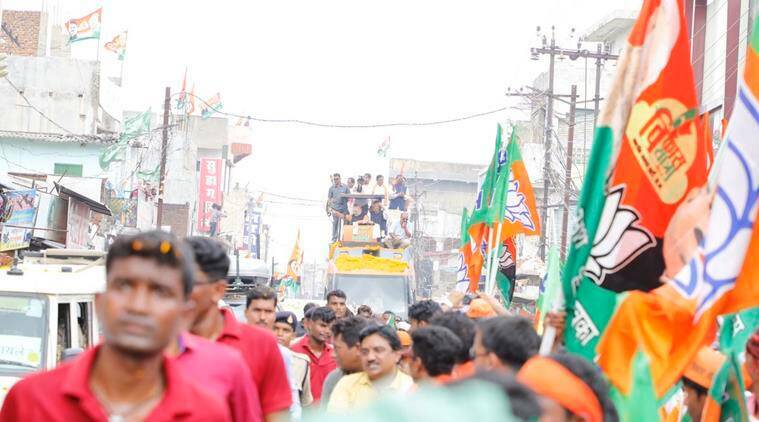 The road show is a part of the ‘Vikas Yatra’ campaign being undertaken by the CM ahead of the assembly polls in the state by the end of this year. The road show, which lasted about 45 minutes, covered a distance of around 5 kms, passing through Agrasen Chowk, Jaistambh Chowk, Mahamaya Chowk, Gandhi Chowk and Ambedkar Chowk. It culminated at PG College grounds.